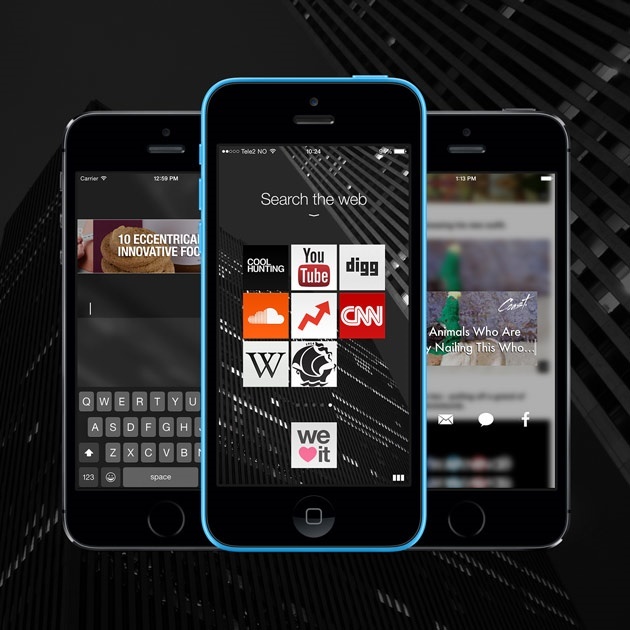 Browsers need to start afresh to satisfy the surfing needs of the future, claims the team behind the Opera Coast web browsing app, launching the newest version today for iPhone, iPad and iPod. The new release includes features like the Discover news feed and Opera Turbo data compression. Opera Coast 4.0 is now available in the App Store. Opera Coast is a leader in the growing trend to remove distractions between you the user and your favorite online content, treating websites like apps and tossing out 20 years of legacy features. Opera Coast is based on touch gestures, with nearly no buttons. It puts content front and center, keeping technology “under the hood” and giving websites the screen’s full real estate. Explore new content: Opera Coast now offers the Discover feature, which helps you find stories and news from all over the internet. It is the missing link that brings the best of billions of pages of internet directly to you, rather than you needing a search engine to find content. When you search in Opera Coast, you’ll see a selection of the latest and greatest articles. Tap to see the story or swipe right for more articles, then sit back, relax and enjoy a little quality time with the web. Get content faster: Opera Coast 4.0 now features the Opera Turbo data-savings technology, which reduces webpages to a fraction of their original size, for speedier browsing that can save your data bill. Opera Turbo gives a lighter, faster web for slow networks, crowded Wi-Fi and data caps. Keep it in automatic mode for auto-compression on GPRS/Edge networks and international roaming. Share your favorite content: Found an awesome recipe, top-10 article or puppies vs stairs video? Opera Coast has added a share button for faster and smoother posting to email, messenger and social networking apps including Facebook, Twitter, Vkontakte, WhatsApp, Line and more. Opera Coast turns the link into a styled image, ready to caption and share, like sending a web postcard. Keep browsing your content: With more devices at users’ disposal, multiscreen surfing is key in the future of browsers. Want to pick up where you left off on another Apple device with your browsing? Handoff, part of Apple’s new Continuity feature set, uses Bluetooth and iCloud to let you continue your Opera Coast browsing on a default Handoff-enabled browser (like Opera for Mac) on a nearby mobile, tablet or laptop. And, the other stuff: Opera Coast on iPhone now supports landscape mode on the search and home screens, with iPhone 6 Plus users set to benefit from a new, optimized widescreen layout. It is now also possible to choose to open links in Opera Coast from Safari, by using Safari’s share button and selecting the option to open in Opera Coast. Opera Coast is available for free in the App Store. Take it for a spin, kick back with the web less travelled, and see where the future of browsing is heading. Download the Opera Coast 4.0 press kit with images and logos. Check out the Opera Coast 4.0 videos.